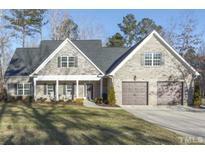 Below you can view all the homes for sale in the North Fort subdivision located in Clayton North Carolina. Listings in North Fort are updated daily from data we receive from the Raleigh multiple listing service. To learn more about any of these homes or to receive custom notifications when a new property is listed for sale in North Fort, give us a call at 919-759-5792. Finished Basement could be in law or teen suite. MLS#2237934. 1197. This home is wonderfully nestled on an oversized lot in the North Fort community near Flowers Plantation. MLS#2232704. 4410. Gorgeous ALL BRICK Home in Flowers Plantation Area w/ AWESOME Floor Plan Featuring 4 Bedroom/4.5 Baths~2 Bedroom Suites Down & 2 Bedroom Suites Up w/ Walk in Closet's~ LUSH FIRST FLOOR MASTER Suite ~Large Loft Plus Office & Formal Living Room~OPEN Floor Plan~Family Room with Built-ins~Lots of REAL HARDWOOD FLOORS + Lots Of Heavy Trim & Detail~Walk-In Attic for Storage Plus 570 SF Unfinished Bonus Upstairs Over Garage for Future Expansion*NEW ROOF*Enjoy Neighborhood Pond for Fishing & Picnics~Conv to NC 42 & Harris Teeter! MLS#2226600. 1768.